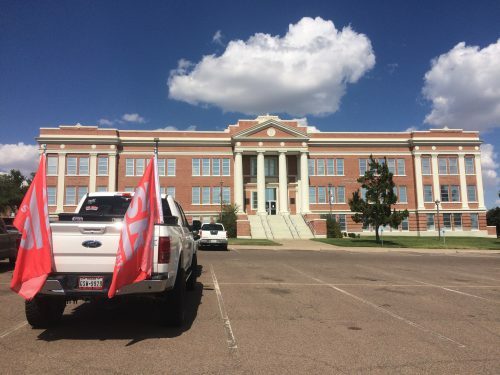 Despite being one of the most remote schools in the lower 48, Sul Ross State University deals with issues you see on campuses across the country. Amidst a tense political climate, a group of professors at Sul Ross State address a diverse student body and on-campus racism with a new minor. Whether or not Sul Ross State University has a diversity problem depends on who you ask. “It seems like everyone gets along fine, I’ve never seen anything happen, I’ve never seen anything go wrong,” says Destinee Love, a Wildlife Major and President of the Range and Wildlife Club. On the one hand, Sul Ross is a place where you see a lot of different people coming together. People like Destinee, a first-generation college student from a tiny town called Harper. For Destinee, the transition from high school to college wasn’t much of a challenge. Things were different for Breandra Green, who moved to Alpine from Houston four years ago to study. “It’s a real big culture shock for people who come out here from big cities like Dallas, Austin, Houston.” Breandra says although “the country” offers an escape from big city issues like police brutality, being black in Far West Texas means sticking out. “People look at us, look at our skin, you hear little whispers like probably don’t trust that person, we still get looks,” says Breandra. Breandra has complaints about racism, although she says the more serious issues happen off campus. That could be because Sul Ross is a bit of a bubble. According to enrollment data from 2016, the campus of some 2,000 students is more diverse than the region overall. Half of the students at the Alpine campus are Hispanic, 38% are white and 9% are African-American. Meanwhile, in Brewster County as a whole, whites and Hispanics made up 87% of the population. And African-Americans? Just 2%. Breandra says it’s not only that she receives unfair treatment around town. As a sociology student interested in diversity and culture, she sees many perspectives left out of school curriculum – Asians, Muslims, Blacks. “We are part of history still in the making – they don’t want to teach us about our own history,” says Breandra. Dean of Arts and Sciences Dr. J. Downing is fully aware of the diverging opinions and wide range of students on campus. He says that after the 2016 presidential election, a few Latino kids were verbally attacked and told to “go back across the river”. Downing says though he believes school is pretty tolerant place, events last year led some professors to take action. Considering a limited budget, Downing and other professors came up with an answer. “Let’s have a diversity minor based on what we are already doing… that’s as inclusive as possible,” says Downing. The minor is being offered for the first time this semester. It’s modeled after an existing diversity minor at Texas State University in San Marcos and requires 18 hours of study. Dr. Rosemary Briseño’s Women’s Studies class is one of the required courses for the diversity minor. During class Professor Briseño searches images of the “average American family” on her computer. She asks students what they see: white, straight couples with smiling children. Not exactly representative of what you see in her diverse, multicultural classroom. Briseño says her students engage with the material because they are affected by it. “The connection of what’s going on inside and outside the classroom is so important because what’s happening outside the classroom is affecting these students,” says Briseño. Classes like Dr. Briseño’s let students talk about inequality they see every day: classism, racism, sexism, homophobia. They’re also a way to teach critical thinking. She says although not all students take to her classes, she’s seen change in unlikely places. “I had this student a couple years back, an international student, an African student,” says Briseño. The student was raised to believe women were second class citizens and gay people should be punished. “He later told me after class ended, ‘I remember I was very angry at you because everything you were saying was going against my culture, my father’s culture, the country the teachings, the way I was brought up’,” she says. After Briseño’s classes on accepting alternative ways of being, emphasizing that there is no normal, he began to see these different identities as just people. For Dr. Briseño, if someone doesn’t like her class – fine. All she asks is that students tolerate it. Sul Ross State University’s Diversity Minor will go into effect for the Spring 2018 semester. 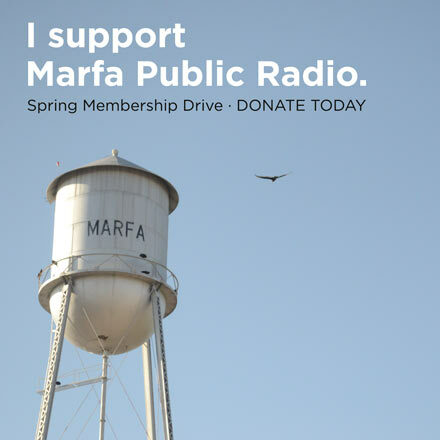 This entry was posted in KRTS News, KXWT News and tagged alpine, alpines, diveristy, diversity, higher ed, Higher Education, Sul Ross, Sul Ross State University. Bookmark the permalink.